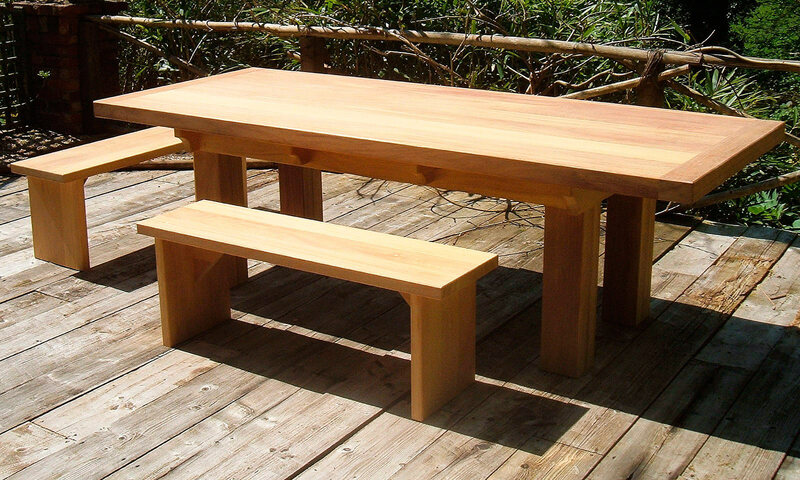 A large, bracketed, chunky Iroko wood table with bench seats. 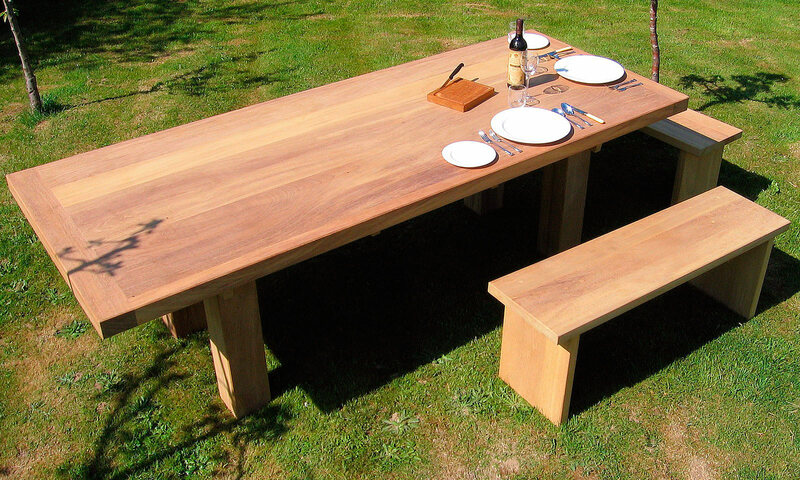 We designed this with laminated legs to avoid splitting. The 3 inch table top has bread board ends which prevents exposure of the end grain and also helps keep the table top stable. The construction methods used allowed us to leave the table untreated so that over time it will age to a beautiful silver grey.